Owning a Hot Spring® spa means that you can relax in the knowledge that you bought the best spa made. Hot Spring spas are made by Watkins Manufacturing, a company known for highest ethics and integrity. Watkins is one of Masco Corporation’s family of companies whose products you trust in your home for quality and value – Delta® faucets, KraftMaid® cabinets, Behr® paints and many more. 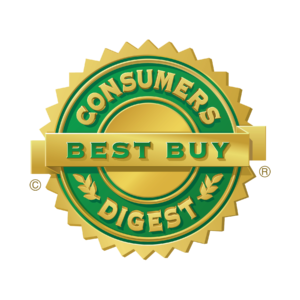 The maker of Hot Spring spas is the only hot tub manufacturer to have one of its spas named a Best Buy each of the six times Consumers Digest has rated spas, most recently the Aria™ spa. With more than 1,000,000 owners experiencing ultimate relaxation, Hot Spring spas are the spa of choice in all 50 states, Canada and more than 60 other countries. Our quality systems are certified to be in accordance with ISO 9001:2000, the highest international standard for design and manufacturing excellence. What’s more, our certification comes from Lloyd’s, one of the most demanding and prestigious registrars in the world. We meticulously design our spas using the most advanced computerized systems available. Before each spa moves from one stage of production to the next, it must be inspected and approved by a trained technician at over 100 checkpoints. Prior to shipment, each spa is filled with water and completely tested to ensure all systems are working properly. Hot Spring spas are the only spas with NSF P181 certification, meaning they’ve met comprehensive standards for overall safety and performance of the entire spa – not just certain parts.